Coffee has become an integral part of many Americans’ morning routine. According to a 2013 survey conducted by the National Coffee Association (NCA), 83% of U.S. adults consume this delightful beverage, up from 78% the year prior. Of course, there’s a good reason for this trend: coffee offers several key benefits, some of which we’re going to take a look at today. We all know the importance of waking up early in the morning. The earlier you wake up, the more work you can produce. It’s just that simple. But many people (myself included) often struggle to get going in the morning. You may feel tired and sluggish, which is reflected in the quality of your work. The good news, however, is that coffee can make you feel more awake and alert within minutes of consumption. Coffee contains hefty amounts of the stimulant caffeine, which boosts blood flow while fighting fatigue. Of course, coffee can also promote greater creativity. If your work requires you to “think” rather than complete the same monotonous task over and over, coffee will almost certainly help. Researchers from MIT recently put this theory to the test by conducting a controlled study. 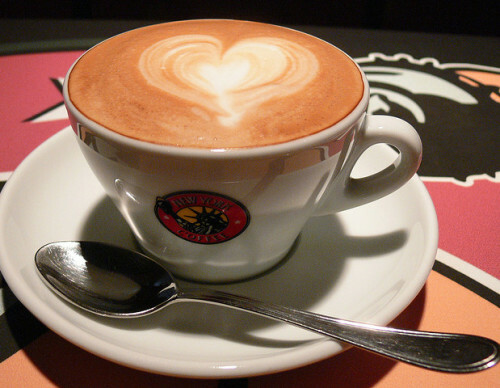 They discovered that coffee can promote creativity in both individual and group settings. Furthermore, MIT researchers found that coffee breaks at work can break down social and professional barriers, allowing workers to converse in a more natural, relaxed manner. We can’t talk about the benefits of coffee without mentioning its positive impact on productivity. Because it makes you feel awake and more alert, you can generally get more accomplished after consuming this delightful beverage. Don’t take my word for it, though. The next time you enter the office in the early morning hours, drink a cup of hot Joe. At the end of the day, measure the quantity of work you produced and compare it with a regular day on which you did not drink coffee. Can drinking coffee make you learn things faster? Some people seem to think so. A study published in the journal PLOS One found that 200 milligrams of caffeine — the main stimulant in coffee — allows workers to identify words and phrases faster than normal. For the study, researchers split participants into two separate groups, giving them either a caffeine supplement or placebo. Participants who were given the caffeine supplement were able to identify words out of letter strings more quickly than participants who were given the placebo pills. The benefits of coffee don’t end there. While certain beverages like soda may increase a person’s risk of developing kidney stones, coffee has been shown to have the opposite effect by lowering the risk of kidney stones. This alone is a huge benefit that encourages many people to drink coffee. Do you drink coffee on a daily basis? Let us know in the comments section below! I was up to 3-4 cups per day for a while, but have since cut back. I love coffee, but don’t feel it (or anything else for that matter) is good in excess. Coffee and my morning workout are an essential part of each day for me as well. If I miss either, you should probably stay away from me until at least 1pm. Love my morning routiine at 6am … put the coffee on, put the dog out, check the weather (Canadian), feel that first sip of coffee invigorate my body as I settle down with God’s word. Another great day!